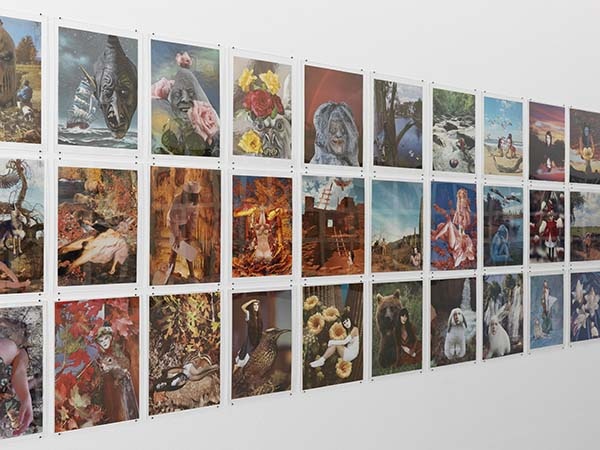 “Once Upon a Time in Forevermore”, Marnie Weber’s exhibition gathers together a series of collages as well as a dozen films in various sets, specially designed by the artist. Among these productions features The Day of Forevermore (2016), which makes its world première at Mamco. 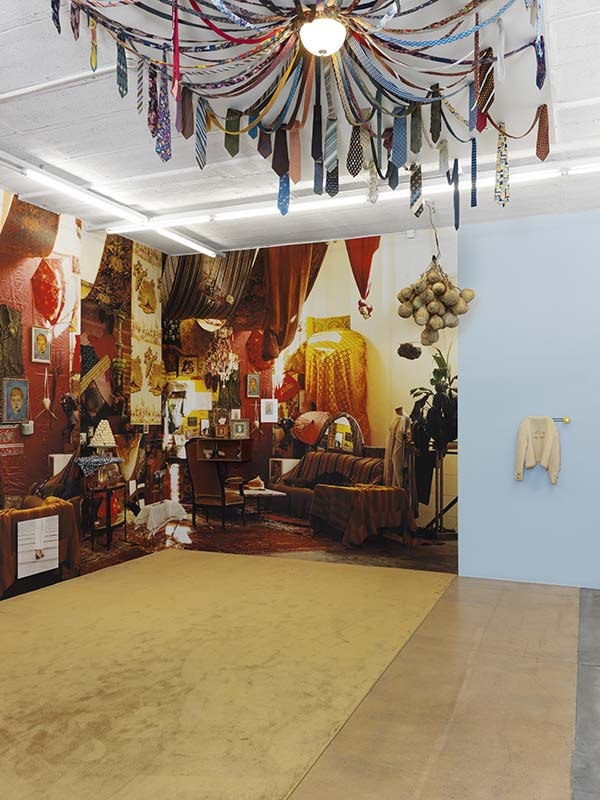 For 25 years, M. Weber has fashioned a dreamlike world, navigating between the real and the imaginary, from one exhibition to the next. 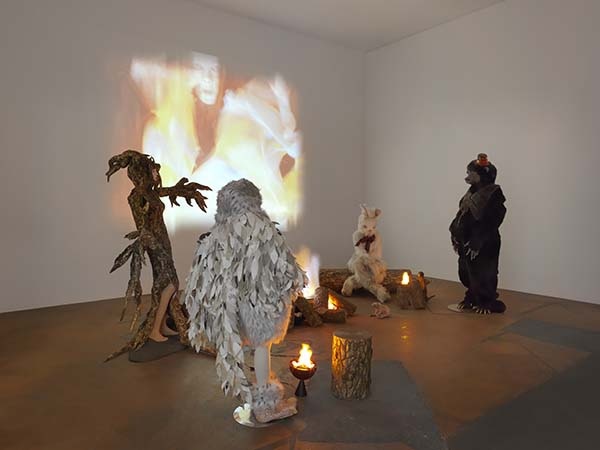 Venturing into territories as diverse as music, performance, film, installation, collage, and sculpture, her works are populated by ghosts, hybrid creatures, and animal characters. Far from being hierarchized, these practices prove porous:they are often linked together by a common past. The Spirit Girls are an example of this: members of a fictional progressive rock band, the five teenage girls purportedly died in the 1970s without obtaining the glory they deserved, have returned to Earth to convey a message of emancipation. Transitional figures, they reappear in collages and films and interact with other characters. M. Weber’s collages serve as a kind of matrix for her films. In the mode of a burlesque fairytale, they establish a temporal blur, saturating the sets and scrambling the narrative. 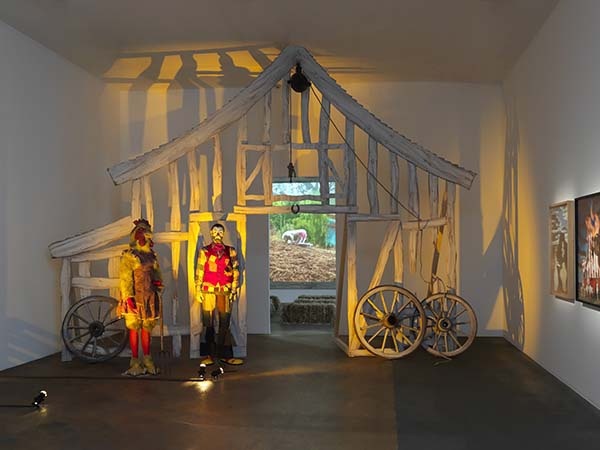 Stemming from this parallel world whose laws are dictated by the quirks of the subconscious, characters, sets, costumes, and accessories re-emerge in the installations that derive from the films. 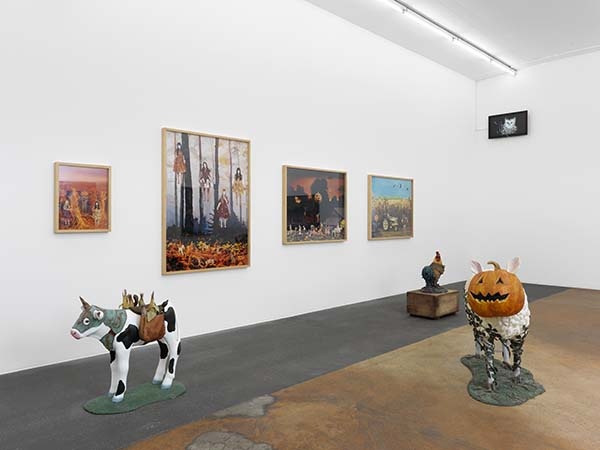 Each of M. Weber’s exhibitions thus can and must be understood as a global theater, a total artwork that borrows as much from Surrealism as it does from counter-culture and American folklore. The bewitching world of M. Weber is more sardonic than it appears at first. The repressions and traumatisms of American popular culture re-emerge to the surface of signs and images. 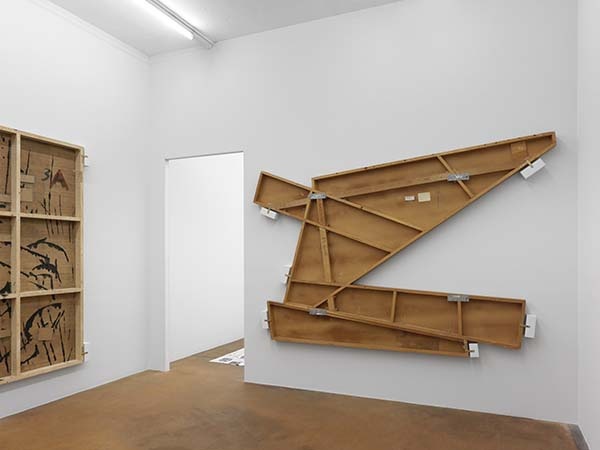 Mamco dedicates a retrospective to Bruno Pélassy, whose work, despite its rich formal and aesthetic diversity, spans a period of barely ten years. 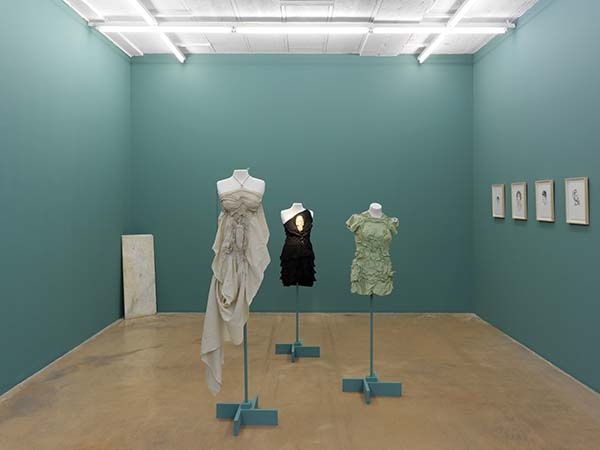 This exhibition, which follows the one held at the Centre d’art contemporain–le Crédac in Ivry-sur-Seine in 2015, was produced in partnership with this institution, and with the participation of the Pélassy family, Florence Bonnefous, Marie Canet, Brice Dellsperger, and Natacha Lesueur. 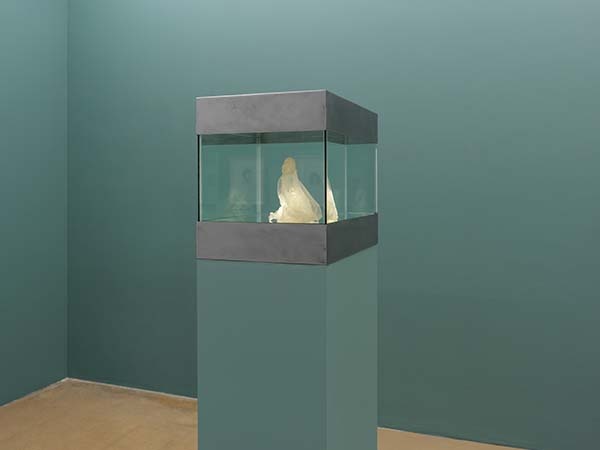 Though well known in the art world, the work of B. Pélassy still remains largely unknown to the general public; the aim of this exhibition is to reveal all of its beauty and singularity. Born in 1966 in Vientiane, Laos, B. Pélassy died in 2002 from complications related to AIDS, which he contracted in 1987. From the early 1990s, a period marked by the traumatism related to this syndrome, B. Pélassy initiated an artistic practice that is at once dark and luminous, tragic and funny, imposing and delicate. His multifaceted body of work conveys a sense of the ambivalent nature of existence, its exuberance coupled with its fragility. 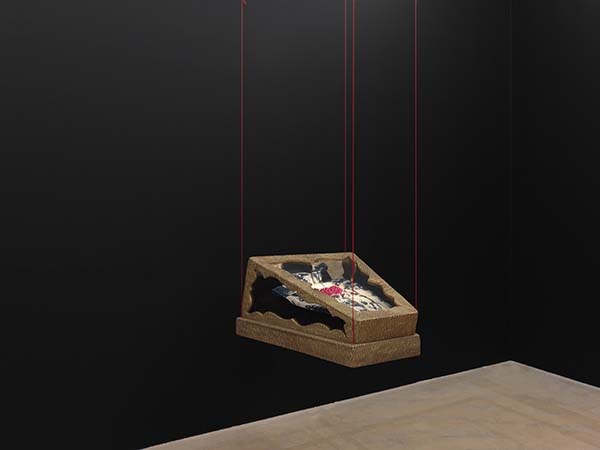 It develops a poetics of life and death made up of symbols borrowed from religion and popular culture, expressed by the combination of precious materials and recycled elements. Enclosed in aquariums and swathed in silk, lace or Swarovski stones, B. Pélassy’s Créatures undulate gently in the water. As though suspended, they appear to be capable of stopping time and thus delaying the reality of death. 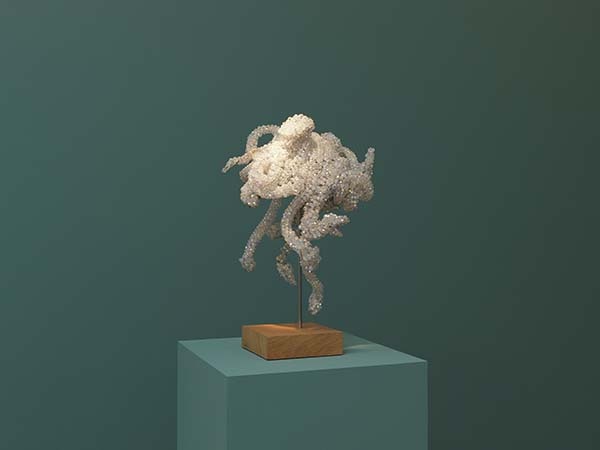 The Bestioles, created between 1994 and 2001, are mechanical creatures inspired by animals. 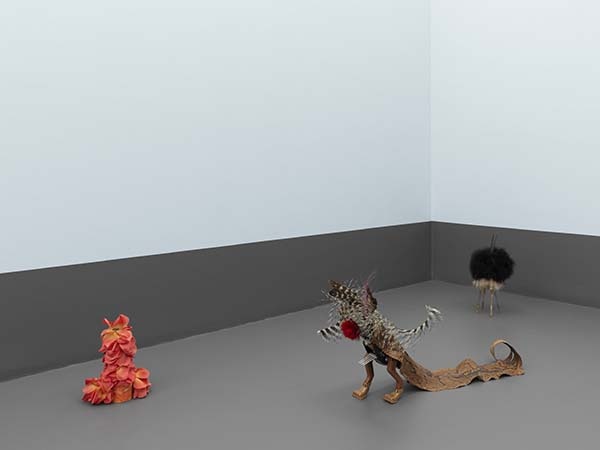 Animated through inexpensive toy mechanisms that eloquently confer mobility, they wander freely and joyously around the exhibition space, banging into other artworks. Mobile audio parasites, they disturb the silence and escape from the designated rooms when not kept under surveillance. In short, these impolite, arrogant “Bestioles” have their own lives to lead, and they do so loudly. “Ça m’inquiète toujours ces sirènes” (Those sirens always worry me) is the title chosen by Émilie Parendeau—winner of the Manor Cultural Prize 2016—for her exhibition at Mamco in reference to the wailing alarms of ambulances and other police vehicles. A kind of pleonasm, the function of sirens being precisely to attract attention and promote disquiet, this title suggests that visitors rid themselves of their reflexes and automatisms. 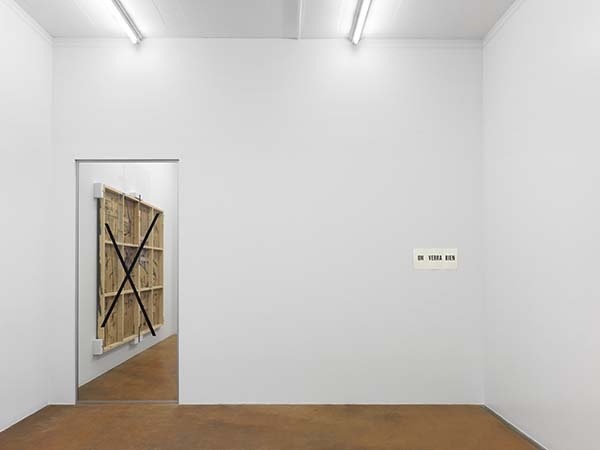 In the exhibition, which occupies the four consecutive rooms of the Suite genevoise, Émilie Parendeau aims to take into account the question of display. 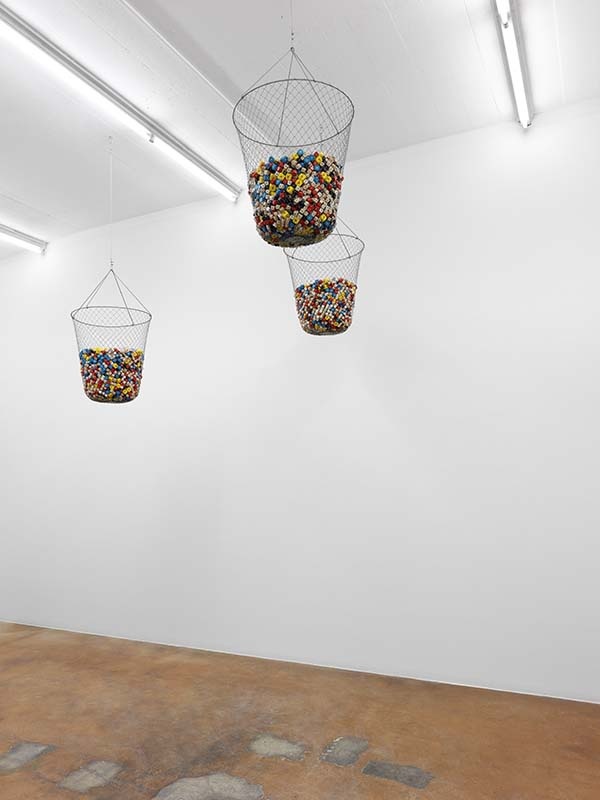 The choice of works—mostly from Mamco’s collections—thus stems directly from the space in which they are presented. The exhibition also disrupts the usual mode of circulation, modifying our approach of this space. The topics of the visible and invisible, what is hidden yet also reveals itself to the gaze guide Émilie Parendeau’s presentation. The exhibition involves a series of reflections and double-ups.Through inverted symmetry the work by Luciano Fabro, presented on the floor of the first room, refers to one of the most emblematic artworks of the museum, hung from the ceiling of the fourth room.